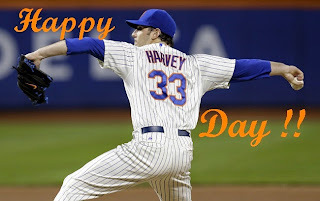 ajgmets.net: That Time of the Baseball Season !!!! That Time of the Baseball Season !!!! Why yes, yes that was me pointing at some of "Cardinal Nation's" self proclaimed "Best Fans In Baseball" completely missing (not catching, not knocking down, not recovering) Kolten Wong's 6th inning home run (which proved to be the game winning) ball at Busch Stadium in St. Louis, Mo. last night. While it's certainly true that I have an affection for the local St. Louis franchise and attend about 40-50 games at Busch, my true colors will come out over the next four days as my beloved Mets (NL East leaders, I may add) will host the NL Central Division leading Redbirds in Queens, New York. 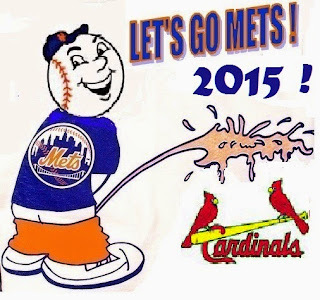 So for the first of seven times this regular season (New York will visit Busch Stadium in late July for a 3 game set) my focus will be solely on watching/listening to "our" Mets take down the Birds on the Bats. So Let's Go Mets !! !